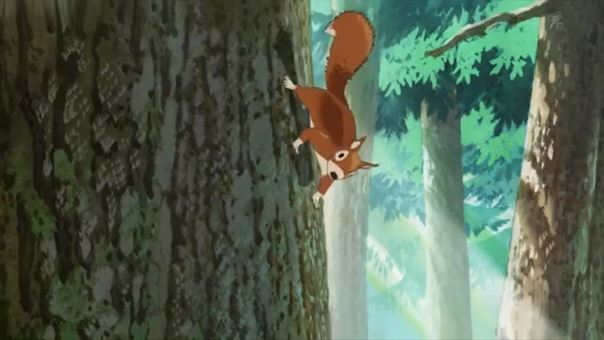 Sanzoku no Musume Ronja’s third episode improves upon its opening by focusing on Ronja and giving us a little excitement and just a little life-or-death tension. I wouldn’t call it gripping or high art, but Ronja’s day in the woods is satisfying and a little unusual for child-centric programming. However, this week’s biggest difference was on my end: I watched it with my 3-year old-son. My son is a big Studio Ghibli fan and regularly asks for Kiki or Totoro or Spirited Away before nap time. However, he experiences those movies dubbed in English, which made my reading Ronja’s subtitles novel and a bit more like watching an animated book than a cartoon. No surprise, he was totally transfixed. Ronja’s emotions over-wrote his emotions. For the 15 minutes she was happily running through the woods, he was happy and laughing and for when she was scared by the Gray Dwarves, he was scared too. 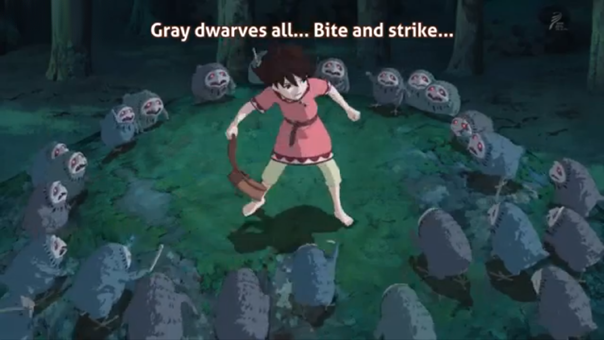 Like the harpies, the gray dwarves are hella creepy! I must say Ronja is very effective for a young audience. In this episode at least, Ronja had enough action to keep my mind from going numb too. Still, almost half of its run time featured a girl running around laughing at the wonder of the world, without plot or greater purpose than that. So is Ronja something for an adult to watch alone? No, not really. 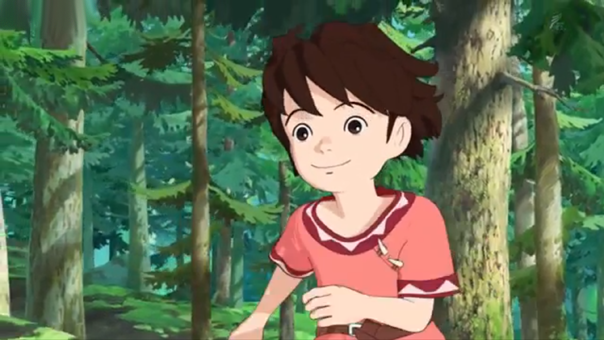 Ronja lacks that lovely spark at the soul of Ghibli’s other films. Ronja has none of their depth of world nor scenario. it’s just a child’s tale, thankfully missing the obnoxiously educational format of most western children’s programming. But it is a children’s story first and only.